Solen 0.60uF 630V DC FastCap Polypropylene Audio Capacitor from Falcon Acoustics, the leading supplier of diy hifi components. Solen 0.60uF 630V DC FastCap Polypropylene Audio Capacitor for high quality loudspeaker crossovers and networks, non-standard value specially made for Falcon Acoustics by Solen/SCR for KEF aB crossovers. Tolerances available, from Falcon Acoustics, the leading supplier of diy hifi components. Non-standard value specially made for Falcon Acoustics by Solen/SCR for KEF aB crossovers. 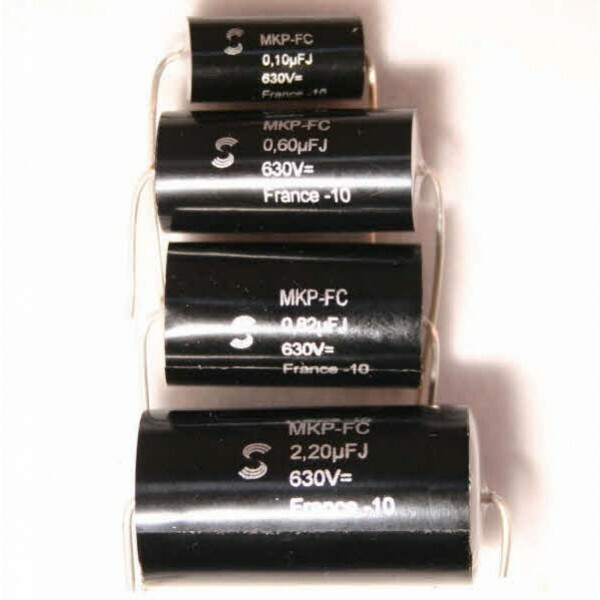 Solen 400V and 630V SCR FastCap Polypropylene Capacitors are widely used by OEM HiFi manufacturers and audiophiles. They are famous world-wide for superb sonic performance, and offer excellent value for money. As specified by HiFi World in their Kits.